Mike Nichols (aka Mikey Strong) joined us, Jerry Recco, Chris Christie Et al. in writing letters of support for Craig Carton. 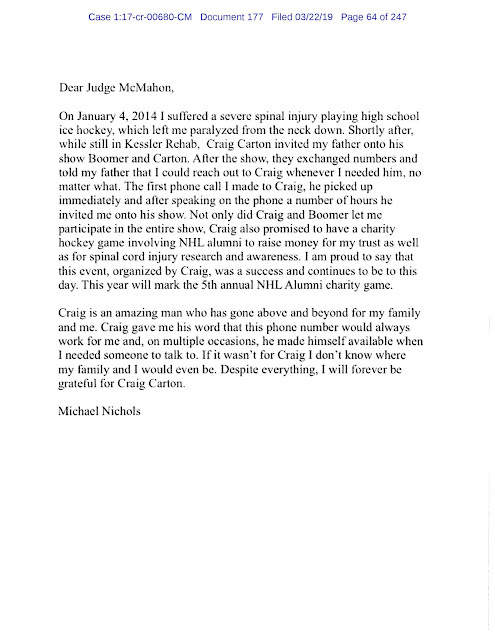 Amazing we learn that Carton promised what is now known as the highly successful Mikey Strong hockey charity games to raise money for Mike's trust and to support spinal cord injury research and awareness - during Nichol's first visit to WFAN. Strong stuff. Even stronger? 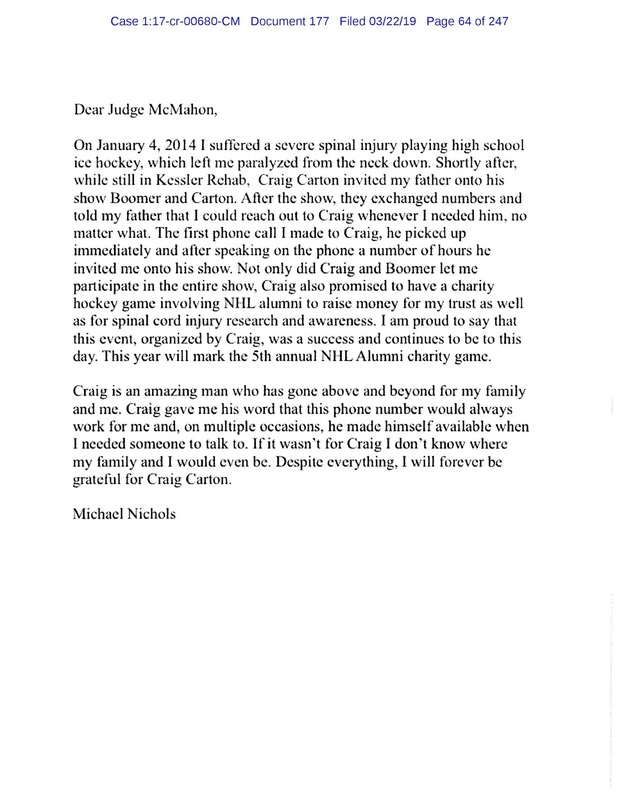 Jerry Recco's letter for Craigy. We are still trying to get the video of Carton at Mikey Strong 2019 as WFAN's video folks, the Devils, etc. made sure not to include it anywhere. Also trying to find out if, at the end of the day, Boomer Esiason paid back the gambling money and all that other stuff that Craig Carton won for him?